– WATEC Israel 2019 – take a sip from where water breakthroughs happen! 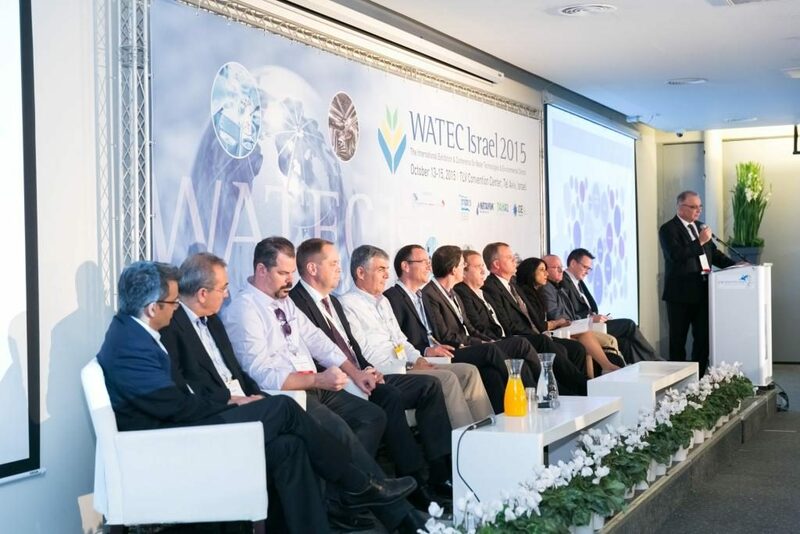 (TEL AVIV, Israel, April 10, 2019 PRNewswire=연합뉴스) The 8th biennial WATECinternational event [http://watec-israel.com/ ] will be held this year, from the 18 untilthe 21 November 2019, at the Peres Center for Innovation and the DavidInterContinental Hotel in Tel Aviv, with hundreds of exhibitors and thousands ofvisitors from all parts of the world. According to experts, the world is on the brink ofa global water crisis, which can only be prevented through advance preparation.Therefore, the upcoming WATEC conference will not only address the latest waterinnovations, but will also look forward at the future of water around the world andhow the impending crisis can be managed. Israel’s reputation as the startup nation is already well-established as a global leaderin a range of water usage and technology, such as desalination, monitoring andirrigation. This year the emphasis will be on True water technology development andexecution (Digital Water; Water Urbanization; Innovation as a Policy and InnovativePolicy Making; Women and Water Industry; Multi-Disciplinary Collaborations; WaterPricing; Water Ownership; The war over water from different sectors, Water Securityand much more. Furthermore, WATEC [https://www.youtube.com/watch?v=R4aAfsS162M&feature=youtu.be ] is introducing a first-of-a-kind interactive displayarea, to showcase the latest developments and technologies: Digital Water; Solutions360° and Mainstream. This year, Cleanvest, an Investor Summit will be held on the 18th November, whichwill bring together investors, entrepreneurs, technology providers, users, consumersand integrators, while uniting all with the goal to create a new eco-system throughunique roundtable discussions, workshops and brain-storming sessions where watertransformation occurs every single day in the water field. This Investor Summit willprovide a unique platform to leverage these opportunities to accelerate watertechnologies for providing fresh water to future generations. During the Event, participants will be given a real and hands on experience of theIsraeli solutions deployed on sites with customized tours. Access to safe water has a tremendous impact on the world. According to studies it’sthe 5th global risk facing the world today. In the last century, water consumption wasincreased by 600%. By 2050 water demand will grow by a further 55% leaving 40% ofthe global population in “water stressed areas“*. WATEC 2019 will do its part in creating the community needed to face the challengesahead of the world population.